When Kristen Bach raised the idea of recording her father’s voice, one of the most popular and poignant projects of the Music Therapy Program was born. Thanks to the germ of this idea, Music Therapist Jill Murphy has helped individuals record their voice and place it in a teddy bear as a legacy for their families. Known as the build-a-bear program, Jill has helped to provide this cherished memento to about 15 families to date. The program is made possible through the equal support of the Hospice Palliative Care Society of Cape Breton County and the Cape Breton Regional Hospital Foundation. Jill makes a point of backing up the recordings, and holding on to them for safe keeping, so individuals don’t have to worry if something should happen to the bear’s voice box. 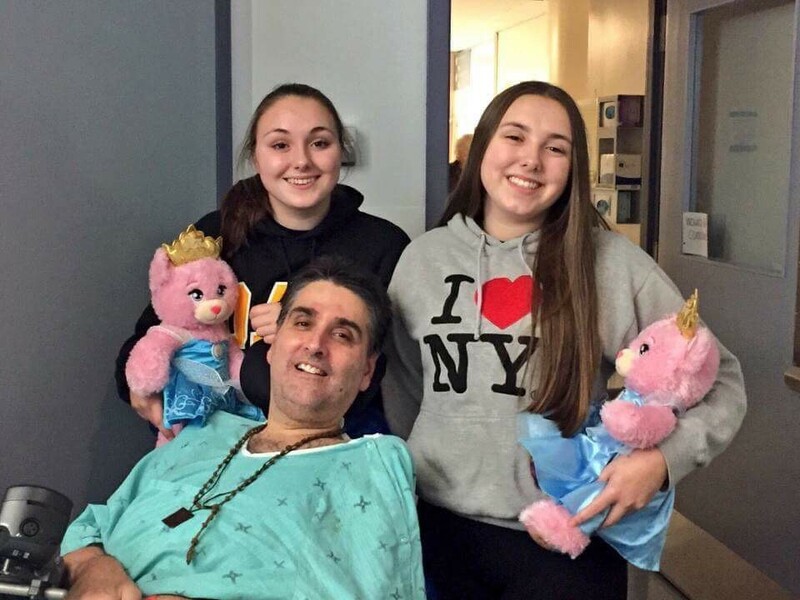 Featured in Photo: Dad Darryl with daughters Kristen and Julia—and bears!